Stars: Mike Henry, David Opatoshu, Manuel Padilla Jr.
Tarzan (Lord Greystoke), already well educated and fed up with civilization, returns to the jungle and, more or less assisted by chimpanzee Cheetah and orphan boy Jai, wages war against poachers and other bad guys. 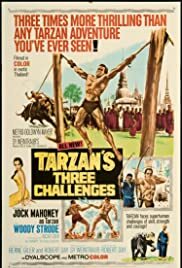 Strange entry in the never ending series has Tarzan (Jock Mahoney) going to an oriental country when he learns that their leader is dying. The throne is suppose to go to the dying man's son but his evil brother (Woody Strode) plans on stealing it. This film does have some nice touches here and there but sadly the screenplay takes way too many easy spots and in the end there's just not enough to carry the 93-minute running time. I think Mahoney makes for a rather strange Tarzan because outside the outfit and people calling him Tarzan you'd never really know he was the legendary character. I say that because Mahoney really doesn't give him much of a personality and so many of the classic things are missing here including the famous yell. I'm really not sure how much blame should go towards the actor since he apparently got dysentery and dengue fever while filming this movie. You can actually see that his body weight is different in various scenes in the film and there are times that he appears so white you'll be thinking he's playing a ghost. 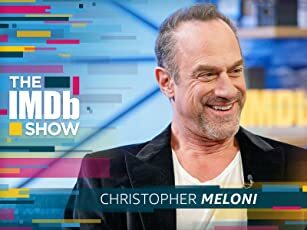 I'm really not sure of the full story so I don't know if the actor got sick early on and this impacted everything going forward or not but there are many scenes where it's obvious the actor isn't in the best shape. Strode is pretty fun as the bad guy but the screenplay really doesn't leave him too much to do except be mean and act tough. The rest of the supporting cast fit their roles nicely even if no one really sticks out. The title refers to three challenges that Tarzan must go through and these here are certainly the highlights. One of the best moments happens during the strength challenge when Tarzan's arms are attached to two bull pulling in the opposite direction. Another very good scene happens at the end when Tarzan and the brother must battle to see who will get the throne. Having a kid as a side kick was certainly due to this film being aimed at children but I didn't mind this too much. I only wish the screenplay had added a tad bit more of a story or at least thrown in a few more interesting characters. This isn't a totally worthless film but I don't see anyone except Tarzan junkies eating this thing up.